Garlic Gold® Nuggets in Oil are the perfect 2-in-1 — they’re a combination of our organic olive oil and crunchy garlic nuggets. We use the oil to sauté a variety of summer vegetables, then spoon the crunchy nuggets over the top when everything is finished cooking. How easy is that? This antipasto platter is much healthier for you than the usual appetizer plate, since it’s simply an assortment of fresh summer vegetables, sautéed with Garlic Gold® and topped with pretty, aromatic basil leaves. Make it for your family, or bring it to a potluck and delight your friends with this beautiful, colorful spread! Sprinkle the salt over the sliced eggplant and let sit for 15 minutes. 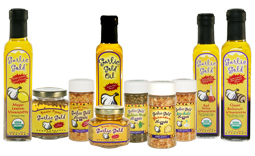 Pour a tablespoon of oil from the top of the jar of Garlic Gold® into a large skillet over medium heat. Add half of the egpplant slices to the skillet and sear for two minutes. Flip the slices and sear for two more minutes. Transfer to a platter to cool. Repeat with the rest of the eggplant. Add another two tablespoons of Garlic Gold® oil to the skillet. Sauté the mushrooms for five minutes per side— they take a while longer to brown. Transfer them to the platter. Use another tablespoon of oil to sauté the zucchini sticks until browned, about four minutes. Repeat this process with the bell peppers and cherry tomatoes, adding them to the platter as they finish cooking. Arrange the vegetables nicely on the platter, then spoon on Garlic Gold® nuggets in oil and garnish with basil leaves. 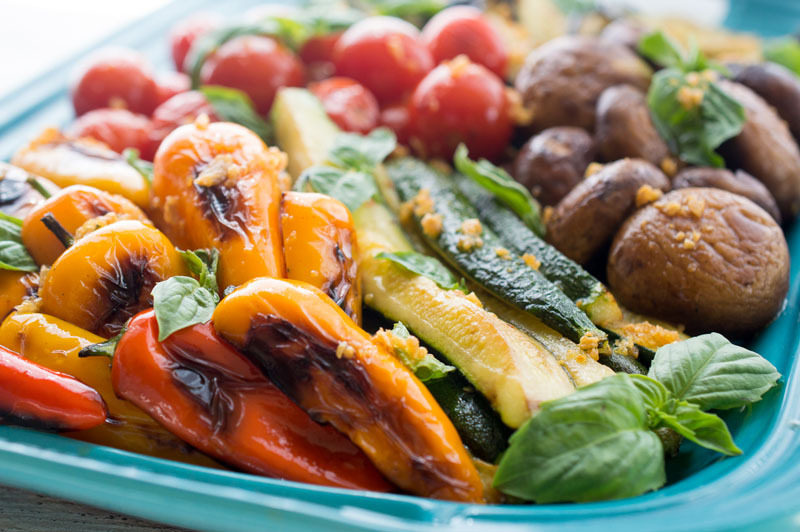 Recipe Note: If you're already grilling dinner outside, you can grill your vegetables too! Just use a grill basket for smaller items like tomatoes and mushrooms, or thread the vegetables onto skewers for antipasto kebabs. We just love dinners that cook themselves, don’t you? This baked couscous chicken is the easiest one-dish meal imag… https://t.co/UzxTBKAyHj about 10 minutes ago from Hootsuite Inc.